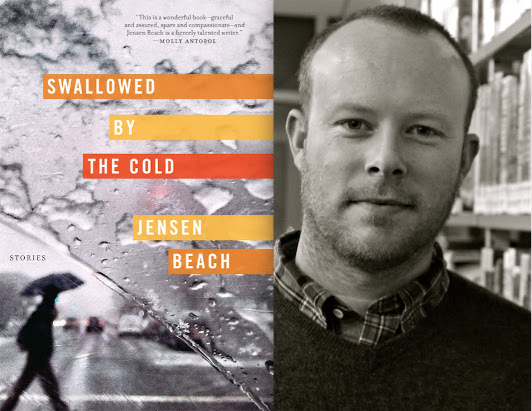 Bad things happen to good Swedish people over and over again in Jensen Beach’s second short story collection, Swallowed by the Cold. A man suffers a fatal accident riding his bike home along a canal; before he dies, he tries to get the attention of a passing sailboat, but the two couples on board simply wave back at him. The young girl who discovers his body will be haunted by the experience, and a neighbor tells her about the time he saw his first dead body. The owner of that sailboat? He’ll later die in a car crash, and the woman who finds him will find her life transformed as well… Of course, not every plight that befalls Beach’s characters is quite so stark, but even the smaller incidents are shot through with a dark emotional undercurrent, a sense that the protagonist’s lives could be upended at any moment, the defenses they’ve built up around themselves torn away. In his guest essay, Beach tells us about another brilliantly atmospheric story from a Scandinavian writer. I first came to Tove Jansson through her children’s books about a family of troll-like creatures called the Moomins. These books and the television show they inspired are really popular in the Nordic countries. When my kids were small I spent a lot of time reading the books, watching the cartoon, and otherwise immersed in Moominland. Jansson is best remembered for the Moomin books. But she also wrote five novels and six collections of short fiction. In 2014, NYRB Classics released The Woman Who Borrowed Memories, a marvelous selection of Jansson’s stories and a good place to start if you’re not familiar with her work. My favorite story in the collection, and one I teach so often that I’ve had to buy a second copy of the book because mine is so full of notes in the margins, is called “White Lady,” which first appeared in English in Jansson’s 1978 collection The Doll House. “White Lady” is about fear and about desire. It’s about aging and, without being explicitly so, about death. Three middle-aged women travel to a small island in the Stockholm archipelago to dine at a restaurant. It’s late in the summer and the restaurant, soon to be closed for the season, is nearly empty. The three women, May, Regina, and Ellinor, arrive by boat, already a little drunk from having had “a drink or two before leaving home.” The restaurant is a “pale gray building […] very pretty in a melancholy way.” During dinner, the women all drink too much, bicker with one another over petty differences, share memories, and meet a group of young people who have come to the restaurant to dance. The evening winds to an end, and the women all leave the restaurant to go back to the dock to wait for the boat that will take them to the city.